I’m Afraid of Clusters of Holes – Are You? 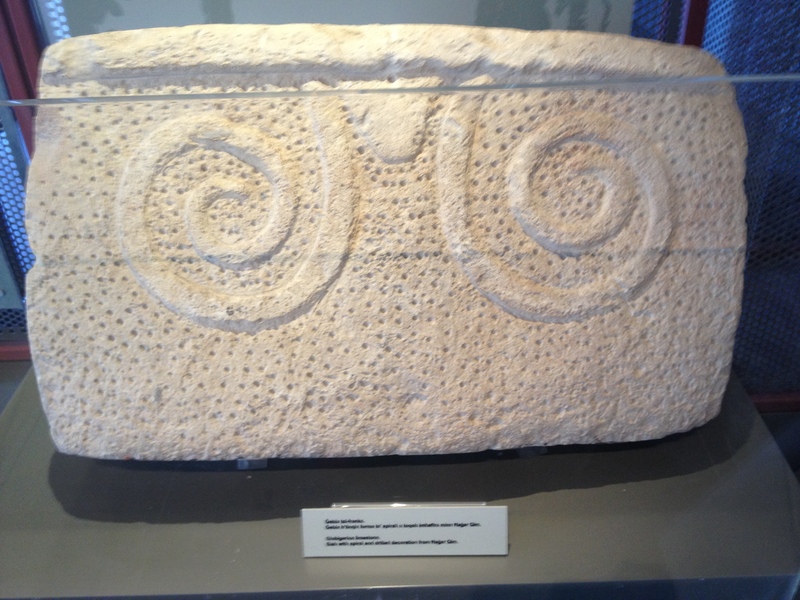 Ancient relic in Malta. Holes a very mild trypophobic pattern. Taken May 2nd, 2014. For as long as I remember I have been afraid of clusters of holes. Not just any type of clusters, but densely packed, unevenly shaped holes. 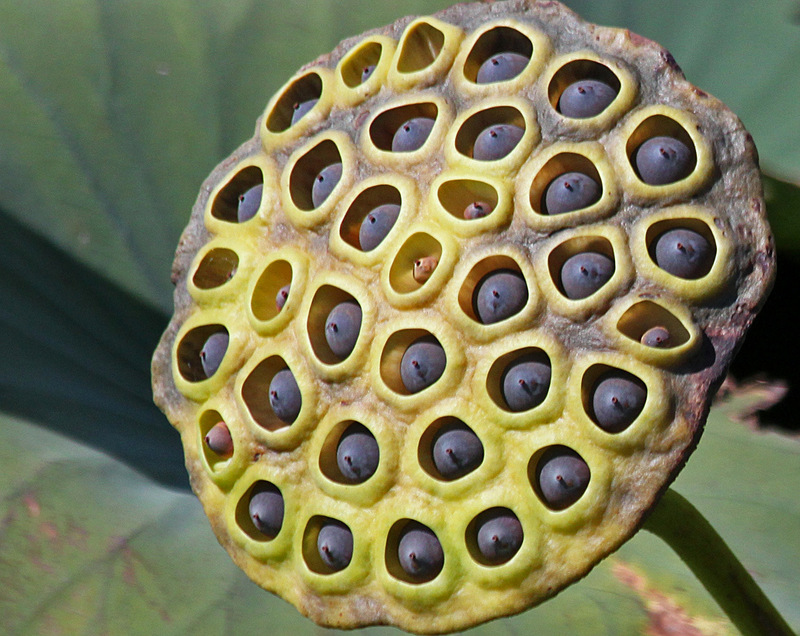 There is actually a word for this aversion, and it is known as trypophobia (Greek for “boring holes” + “fear”). I dare not post any illustrations for my own sanity and for the sake of other fellow trypophobics out there. However, for all you curious readers, the lotus pod and blue-ringed octopus are both notable examples of this cluster pattern (Note: They can be very unpleasant to look at, and you have been warned). If, like me, you feel intensely uncomfortable looking at the images in the links above, then you fit within the 11-17% of the population who find these images disturbing to look at (Cole & Wilkins, 2013). Even though these statistics indicate that it is not such an uncommon aversion among the healthy population, very little is known about this spine-tingling phenomenon. Punching in “trypophobia” in the academic journal search engine sciencedirect (Elsevier) produces a whopping zero hits. In fact, the word trypophobia only came into existence in the early 2000s through the Internet, with people creating websites and Facebook groups dedicated to this unique fear of holes. Why is it that so many people find the images of something as harmless as simple holes unbearable? Last year, Geoff Cole and Arnold Wilkins at the University of Essex conducted one of the very few research studies on trypophobia. They analysed images of clusters of holes taken from the website www.trypophobia.com and used a computer programme to break each image down into its basic light wave forms — a process known as Fourier analysis. Interestingly, they found the spectral composition of these images was similar to those seen in a variety of lethal animals, such as the poisonous blue-ringed octopus. From these findings the authors suggested that there may be an evolutionary reason behind people’s strong aversion to these holes. If you see this pattern there is a high chance that you’re face to face with a dangerous animal – so run! From a personal perspective, Cole and Wilkins’ evolutionary adaptation theory makes intuitive sense to me. When I look at the images I get an extreme negative feeling of discomfort followed by what feels like an anxiety-related adrenaline rush in my head. A gut-wrenching sensation in my stomach ensues. I have noticed that another notable sensation I get when looking at the images is an uncomfortable feeling of being unclean in some way, and needing to excessively wash myself, or to put it more bluntly, to scrub off my very skin. I feel a kind of disgust when I see them, perhaps based on a deep fear of what disgusting things might reside in, or have formed the holes…. Overall, I guess the feelings are similar to those someone might get to a septic wound with maggots on. I usually only get trypophobia if the holes are organic — like pumice. I want to rip my skin off and burn it. It makes my kneecaps go tight like someone is pulling/squeezing at them and I feel like disgusting pus/creatures are going to spew forth from the holes with just the slightest application of pressure. It jars something in my brain, or [it’s like] having a slightly painful mental itch that you can’t scratch. It would appear that a feeling of somehow being contaminated and wanting to do something about it, often through quick, violent means, is a common subjective feeling among fellow trypophobics. Once again, this would link in with Cole and Wilkins’ hypothesis that we may have developed this phobia in response to poisonous animals. However, it is also interesting to note that a lot of skin diseases take on a sort of trypophobic pattern, which also would provide a reasonable explanation for some people’s natural aversion to this pattern (once again, click on the link at your own risk). Cole and Wilkins have further reported that the negative feelings in trypophobics are exacerbated when the patterns are photoshopped on skin. Clearly further research is needed on this fascinating phenomenon. Just asked my dressing room… and we have an extreme trypophobic and a trypophiliac. The world truly does have a variety of people. Do you have trypophobia? What is your experience with it? Leave a comment below!